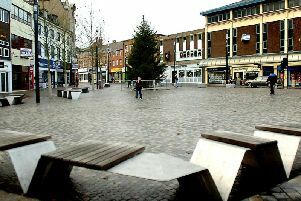 Wakefield’s economy is the fastest growing in the region, a new report has shown. Figures released on Tuesday also revealed that the number of people in unemployment fell from 10.2 per cent in 2013 to 8.5 per cent during 2014. The annual report, from Wakefield first, shows that almost 130 new jobs and 76 new businesses have been created in the last year through the Wakefield Business Support Programme. And 210 apprenticeships have been taken on through the Wakefield Apprenticeship Hub. The report also lists a number of key developments in the district and mentions plans that are being considered for 2016/17 to bring a new university centre to the city. Visit www.wakefieldfirst.com to see the full report.